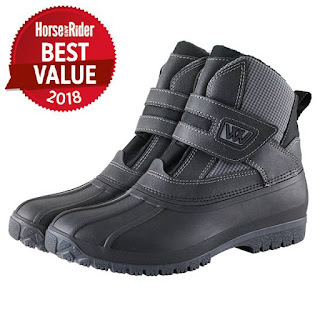 Woof Wear's short yard boots have won the Horse&Rider Magazine BEST VALUE 2018 award. "The single strap made the boots so easy to put on and I found the soles super grippy, even when it was icy. The close fit meant I couldn't wear thick socks with them, but my feet still stayed really warm. Brilliant value for a year-round footwear essential."